Bettie Jane Caldwell Harris was born on March 5, 1934 in Cairo, Illinois to Rev. Joe Thomas Caldwell and Bonnie Lee Caldwell (Stewart). She passed suddenly, but peacefully on August 24, 2018. She was preceded in death by her parents, her younger brother, Joe Edward Caldwell, and her daughter, Debi Lea Wilson. She is survived by her younger sister, Frances Lee Williamson, her granddaughter, Jaclyn Wilson, her son, LeRoy Mitchell Harris, Dr. Michele Leary and her daughters Arden and Iona, nieces, nephews and cousins. Bettie was raised in Cairo, Illinois where she graduated from Cairo High School. 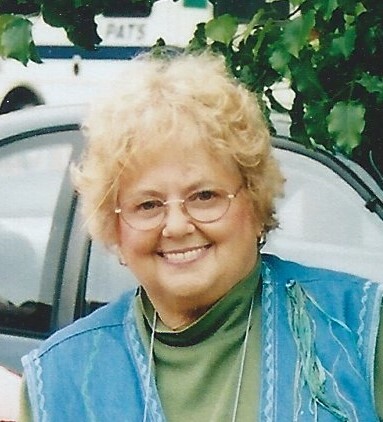 She graduated from Missouri Baptist Hospital School of Nursing as a registered nurse in 1955. She dedicated the next 40 years of her life in nursing serving the communities at Castle Air Force Base and Mercy Hospital in Merced, CA. She was an avid gardener and looked to spring every year. She loved her cacti, palms, succulents and orchids. She was a varied crafts woman, her time torn between quilting, stain glass work, embroidering, sewing and her love of teaching these crafts. She always lamented she just did not have enough time to work on everything she wanted, even after retiring from nursing. Bettie had a love for all animals. For years she always had 3-5 stray cats that called her backyard home and she loved them as much as her indoor cats. She also was a dog lover and raised and showed Great Danes earlier in her life. Bettie’s biggest animal disappointment was in her son because he would not buy her a baby tiger in the last few years of her life. Bettie was loved by all her family and friends and will be missed by all of them. Bettie’s desire was to have no services of mourning. In lieu of flowers, she wished donations would be made to the Humane Society or local SPCAs.